This entry was posted in News on July 10, 2017 . 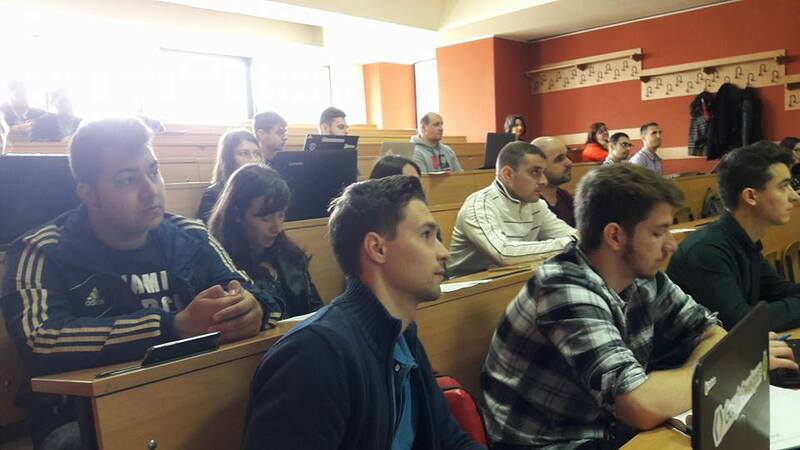 Roweb had the pleasure to sponsor and help jury a web application contest organized by the University of Pitesti. The students presented the web applications that they had built. Some of the apps were built with Angular 2 and Node.JS, but most of the award-winning applications were built in ASP.NET with C#. Second and Third Prizes went to a .NET application for managing teaching activities and to an e-commerce website built with WordPress and PrestaShop. First Prize was won by a blog-like social platform developed in ASP.NET with C#. The winner of the Special Prize, the “Luminita State” Memorial Award, was an app for evaluating workplace satisfaction levels, also built in ASP.NET with C#. Through this survey tool, companies can collect valuable information about how satisfied employees are with their jobs and employers and which are the main reasons for dissatisfaction. 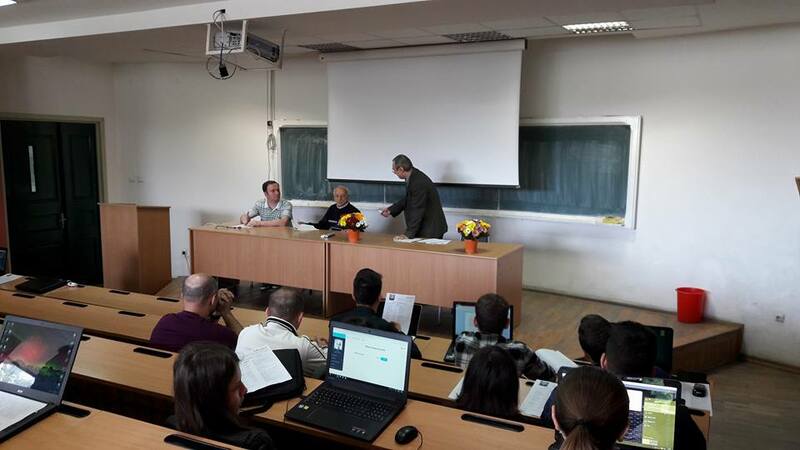 Two of our colleagues, Marius and Gabi, were part of the jury, together with University professors Tudor Balanescu, Costel Balcau, Doru Constantin, Doru Anastasiu Popescu, Laurentiu Deaconu, Maria Miroiu, Cristina Tudose, Viorel Paun, Ionut Dinca and Adrian Turcanu. Evaluating the apps and designating the winners was done based on the students’ presentations, but also on their answers to the jurors’ questions regarding the technologies that they had chosen and the reasons for their choices. Also, the jurors gave each of them constructive feedback and suggestions. 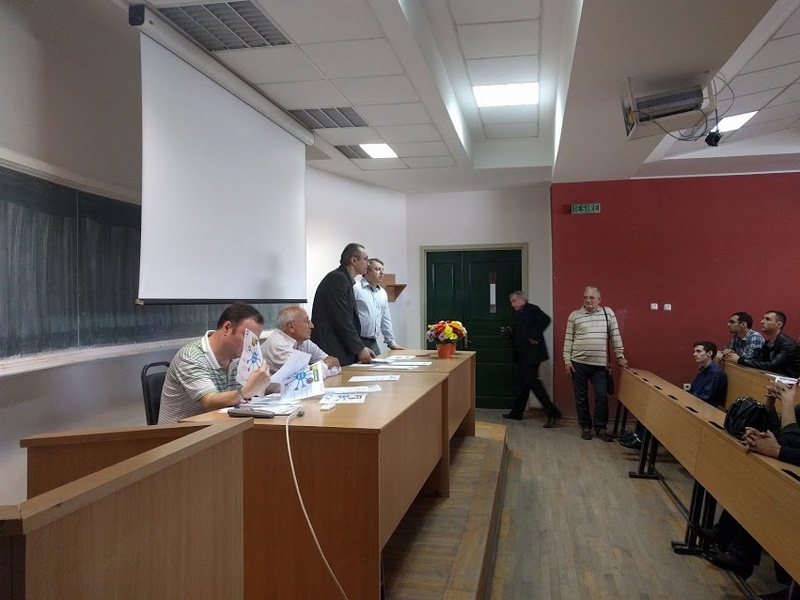 There were approximately 20 participants, students from years I-IV and Master’s, from the Computer Science, Electronics, Computers and Telecommunication Faculties. As part of the award ceremony, guests and jury members held a series of presentations for the attendees, University as well as high school students. The high school students had participated in another contest that took place at the same time as the web application contest, and the winners of both contests were rewarded as part of the same ceremony. 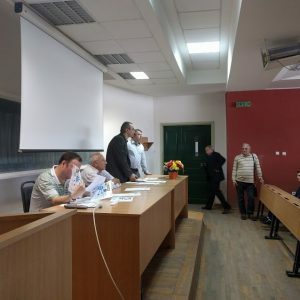 Our CEO, Viorel Costea, gave a presentation about Roweb, speaking a bit about our company’s history, about the services that we provide, as well as our long-standing collaboration with the University and our dedication to invest in students. 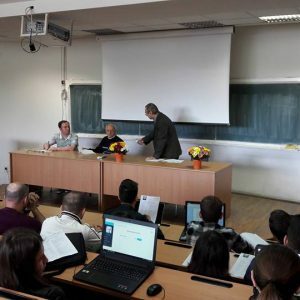 We’re grateful for the young talents that enter the market after graduating from the University of Pitesti, which is why we always try to give back and offer our support whenever we have the chance, as with sponsoring this contest or equipping a computer science lab with computers. 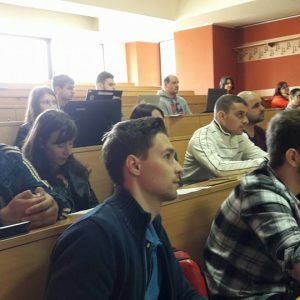 One of Roweb’s co-founders and .NET Department Manager, Mirel Ionescu, also spoke about the company, about the technologies that we use and the types of projects that we work on. As a UPIT partner and event sponsor, Roweb offered prize money to each of the contest winners. We’re glad we had the chance to support this event and we look forward to next year’s edition!